Many companies experience the same problem most online retailers do - conversion rates in online stores are typically only at 1-3%. At giosg we've addressed this issue by creating an uplift machine learning model that predicts which visitors need to be targeted a marketing action to encourage them to make a purchase. 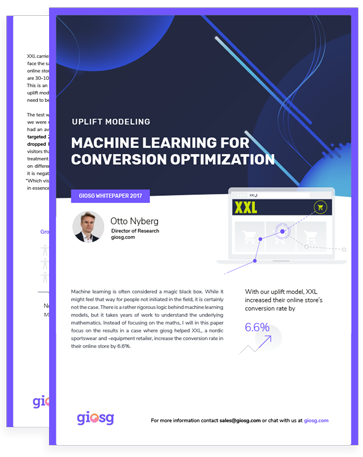 The results speak for themselves - with our uplift model, our customer increased their online store’s conversion rate by 6.6%!